Ward and Smith, P.A. 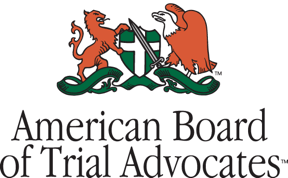 's Alex Dale Elected to NCBA Leadership - Ward and Smith, P.A. Ward and Smith, P.A. is pleased to announce that Alex Dale was elected to the Board of Governors of the North Carolina Bar Association ("NCBA") at the 2016 NCBA Annual Meeting in Charlotte, NC. Dale will serve a three-year term on the board. His nomination to the committee’s proposed slate of vice presidents and board members was previously announced at the spring meeting of the Board of Governors in Wrightsville Beach. Dale is located in the firm's Wilmington office. His practice experience encompasses a broad range of business law matters, including experience representing individuals, start-ups, small businesses, and multi-national companies in a variety of fields. His experience also includes intellectual property transactional matters, corporate governance, business organization and succession planning, contract negotiation, and complex business litigation. He leads the firm's Appellate, Business Litigation, and Community Associations practice groups.